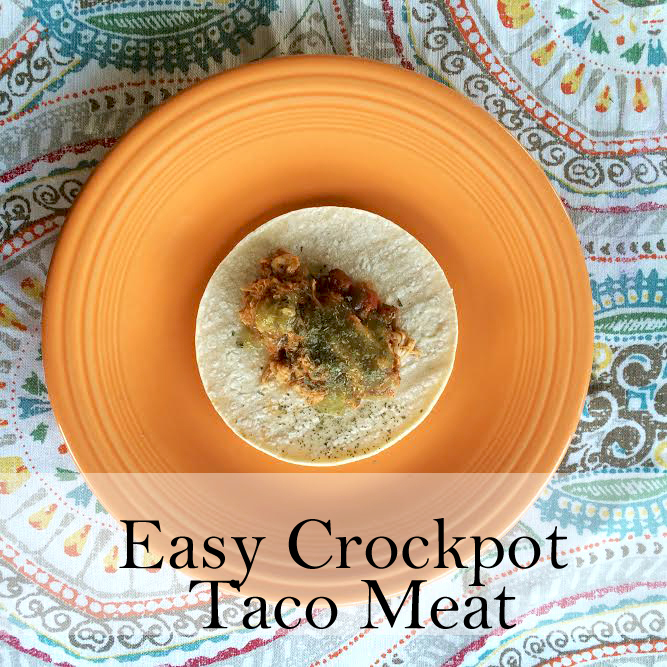 I posted that I had made Crockpot Tacos the other night on Instagram, and several folks asked for the recipe. So, here it is! It is super duper easy...I'm not even sure you could call it a "real" recipe, haha! Place chicken in crockpot, then add salsa & seasonings. Let it cook for 6 hours on low. An hour before serving, you should be able to shred the meat using a large spatula. We topped ours with Verde sauce, and sour cream. Serves 6. I actually made something almost exactly like this dinner last night. It is a staple in our house. Great when we don't have a lot of time. I make something similar with chicken breasts and salsa...I never thought to add taco seasoning which will probably make so much tastier!! Thanks so much for sharing!! I love anything in the crockpot. I will definitely have to try this! 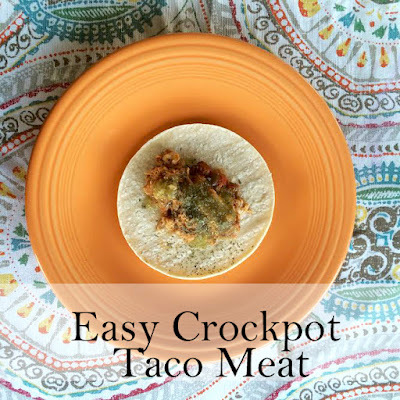 We make almost the same exact chicken tacos in the crock pot. It is SUPER easy for weeknight dinners!